At Metal Alloys Corporation we proudly manufacture marked Medical Grade Copper Pipes used in Medical Gas Distribution system. Uninterrupted Medical Gas supply is a necessity in hospitals (ICCU, Operation Theater, Wards, Nursery etc). Pipes facilitate this in most effective manner. marked medical grade copper tubes are manufactured as per EN13348 / BS EN 1057 specifications. The pipes are manufactured under thorough inspections and quality control measures. 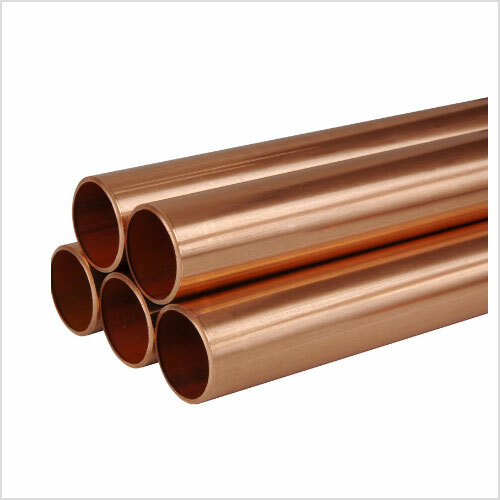 marked medical grade copper tubes are available in size range 6mm to 108mm OD, 0.6mm to 2.0mm wall thickness in Half Hard/Hard conditions and Length 3 meter as per requirement. Pipes are subjected to Third Party Inspection agencies like Lloyds, SGS, TUV as per customer demand. CHEMICAL COMPOSITION Copper (Cu) + Silver (Ag) 99.90% Spectro Analysis done per heat as per standard tolerances. 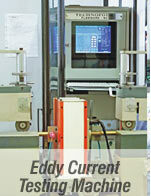 R220 annealed 220 40 (40 to 75) Specifications maintained with help of In house testing facility. CLEANLINESS REQUIREMENT Degreased, End Caps Degreasing and End caps are fixed at both end of the pipe.